ENDED DECEMBER 1, 2018. Winners to be announced soon! Welcome! Rutland Historical Society's Membership Drive has been created to coincide with our 50th Anniversary in 2019. As we approach this milestone, our focus and mission continues to be sharing our resources and our knowledge with the public. Our members have accomplished so much over the years, but we need help to keep up with new technology, ever growing collections, and changing public interests. The best way to help us do that is to become a member and/or a volunteer. With a membership, you receive four (4) of our Quarterly magazines, our Quarterly Newsletter, and the satisfaction that for a low cost, you are helping to preserve our collections, maintain our facilities, write our publications, host our events, and share Rutland's rich History with the world. To kick off this Membership Drive, we are hosting this RAFFLE from October 1, 2018 to December 1, 2018! 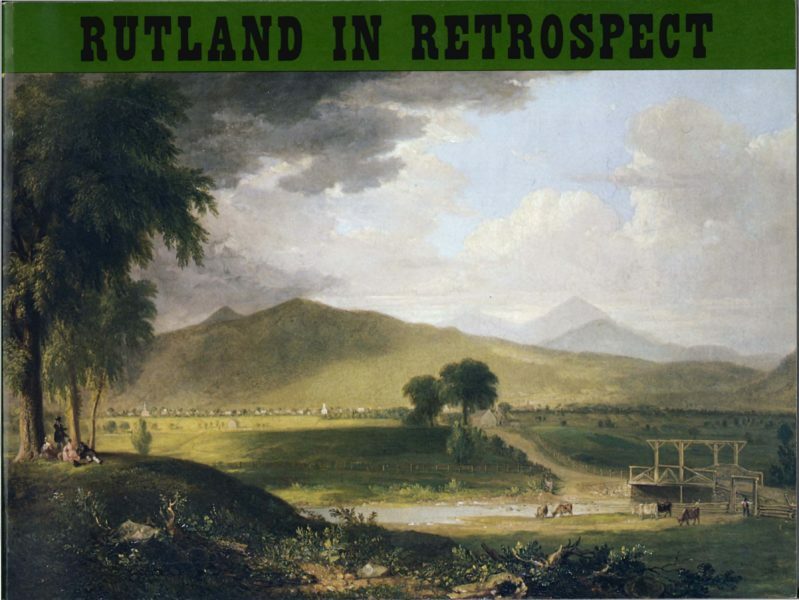 Thanks to two current members, we have recently acquired two (2) paperback copies of our 1978 book Rutland in Retrospect to raffle off to our members. Both of these copies are in great condition, and are often priced between $50 to $100 by book dealers. We are also including 3 copies of The History of Rutland, Vermont 1761-1861, by Dawn D. Hance. View all of our prizes below. Please consider joining us, or gifting a membership to someone who may appreciate it, and automatically be entered to win some great Rutland publications! 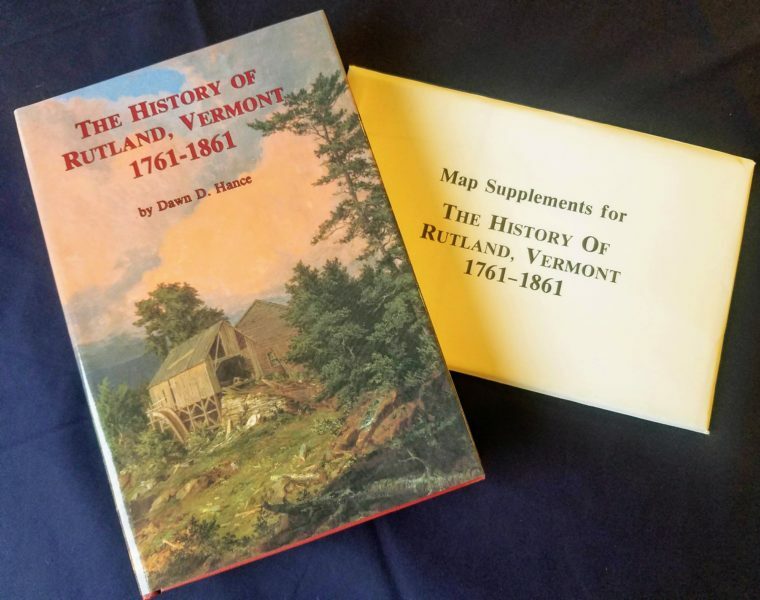 paperback copy of Rutland in Retrospect by Rutland Historical Society, 1978.
hardcover copy of The History of Rutland, Vermont 1761-1861 by Dawn D. Hance, 1991, complete with a map supplement. New and Current members have options to Enter! Current Life Members of the Rutland Historical Society can make a minimum $8 donation to enter. NOTE: If gifting a membership, please indicate whether to add yourself or the new member into the drawing. Learn how to become a member here. One entry per person, per membership; multiple entries per household are allowed, if memberships are separate. Drawings will be made on Monday, December 3, 2018. Contestants do not have to be present to win. If the Rutland Historical Society cannot reach a winner within 7 business days of the drawing, we reserve the right to determine another winner. We will mail winnings within the Continental U.S. at no charge. Items can also be arranged to be picked up from the Society within 14 business days of drawing. Entries can be made in person or by mail.